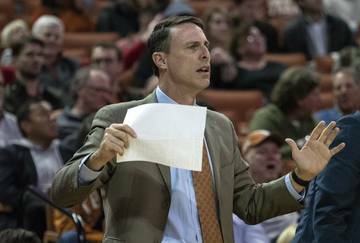 The focus for Texas on the recruiting trail is putting the finishing touches on the 2019 class. That doesn’t mean the staff isn’t starting to do evaluations and build relationships with the 2020 class. The momentum built with a 5-1 record and a recent win over Oklahoma will not only help the Longhorns with 2019 targets like Bru McCoy and Trey Sanders, but it will also resonate for the top 2020 prospects. So let’s have some fun. 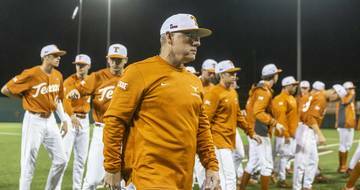 Assuming Texas can take a 25-man class, what would its ideal 2020 class look like? 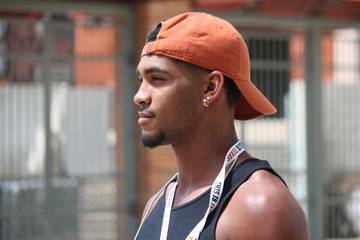 Here’s how I would build it if I could pick from prospects already offered by the Longhorns. This isn’t a likely class. 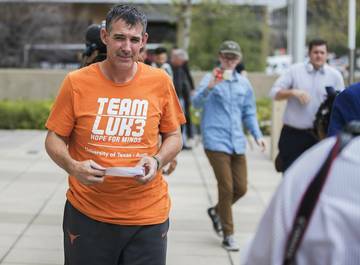 There are players on the list that will pick Texas, and even a player who is already pledged at quarterback, but it is unrealistic to expect the Longhorns to land each of their top targets. Still, this list should help provide an early road map to how the staff wants to put together the class and which prospects fans should know as these players transition from targets to priorities after the 2019 class signs during the early period in December and on national signing day in February. It’s possible the Longhorns stand pat with Card. Some of this depends on how the quarterback room shakes out in the offseason and if attrition happens at the position with transfers once 2019 commit Roschon Johnson arrives in the summer. If no one leaves, Texas would have five scholarship quarterbacks by the time the 2020 prospects become freshmen. Hornsby and Card are the two top dual-threat quarterbacks in the state. Evans is clearly the top target at running back because he’s the best running back this state has produced since Adrian Peterson. 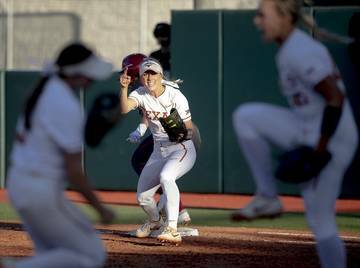 The Galena Park North Shore product is high on Texas and the win over Oklahoma only helps Texas’ chances. Evans doesn’t mind being in a two-man running back class and mentioned playing with Milton, a California native who also holds an offer from Texas. 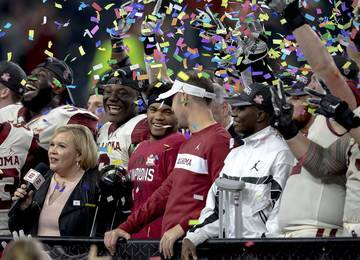 Dixon and Cooper are both athletes who could be viewed as running backs. I think both project better as slot receivers and the Longhorns are high on both. Dixon is a Carthage native and the younger brother of Texas running back Keaontay Ingram. Cooper is the teammate of 2019 target Marcus Washington. It seems fair to call Texas the early leader for both. The other wide receivers are harder to figure out this early in the process. Demond Demas is committed to Texas A&M. That leaves Omeire as the only uncommitted in-state wide receiver to currently hold a UT offer. Round Rock native Collin Sullivan is a player the staff should offer eventually. Texas will sign two tight ends in December and that means the Longhorns likely take one player at the position in 2020 if Herman feels good about depth at the position. Guys like Cade Brewer, Reese Leitao and Malcolm Epps will still be on campus. Figgins resides from the same high school in California as De’Gabriel Floyd and the head coach at Westlake Village is a good friend of Herman; the two have known each other for decades. Lindberg is the best offensive lineman in Texas for the 2020 cycle and is already a priority for the Texas staff. Garth is a teammate of Roschon Johnson at Port Neches-Groves, so Texas is in good position with him. Parr is the best guard prospect in Texas and is in constant contact with assistant coach Herb Hand. Majors is a fast-rising junior with incredible upside at either guard or center. He currently plays offensive tackle. This would be a home run offensive line class with all in-state players. A JUCO product isn’t out of the question. Defensive tackle is the only position lacking true targets. The Longhorns already have eyes on these four ends and all of them play in Texas. Collins (Bastrop) and Umanmielen (Manor) are local prospects. Dorbah is from Highland Park and Broughton is a Houston native. All four of these players were high on Texas before the Oklahoma win and the Sooners are the top competition for the foursome right now. Linebacker might be the hardest of the positions to project. 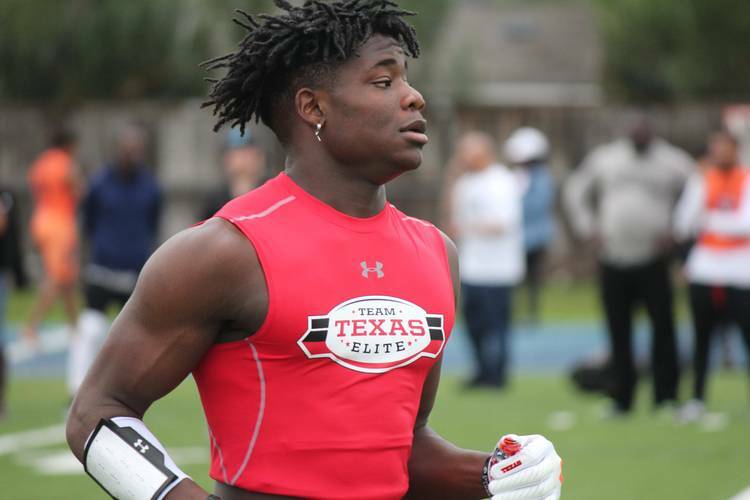 Only four in the 2020 class hold UT offers and Texas looks for different things at the position than most programs. In Todd Orlando we trust, however. 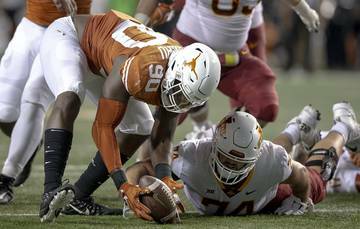 Flowe is the best linebacker in the country and maybe Texas getting De’Gabriel Floyd and possibly Bru McCoy helps Texas earn a shot. Henderson is an in-state prospect who projects to multiple positions including outside linebacker. Wingo is from St. Thomas Aquinas in Florida. Jones is a former teammate of Caden Sterns at Cibolo Steele and is equipped with a unique frame. He’s nearly 6-3 and plays cornerback. 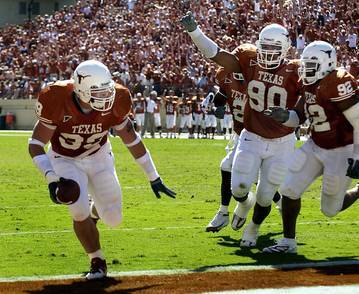 Texas likes big, long corners and Jones and McGlothern fit the bill. Both have visited Texas multiple times and are expected back on campus soon. Landing this duo would be similar to landing Anthony Cook and Jalen Green in 2018. Darius Snow, Bryson Washington, Chris Thompson Jr. 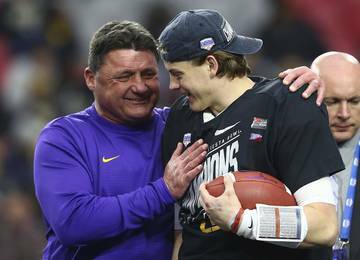 The state is starting to churn out elite safeties on a yearly basis and the 2020 class is no different. This trio would bring headlines close to those caused when Sterns, B.J, Foster and DeMarvion Overshown signed with Texas in 2018. Snow is a hard-hitting safety who can play in the box. Washington and Thompson are long, rangy safeties with physicality and coverage skills.